Established in 1986, Custom Stair Craft was built on a foundation of providing quality craftsmanship at a reasonable price for our commercial and residential clients. 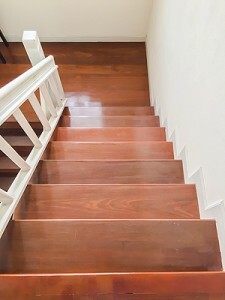 We have worked hard to build a reputation as a quality provider of custom stairs in Normal IL, as well as surrounding communities like Springfield and Galesburg. We are proud to bring you beautiful design, precise measurements, and gorgeous results. For custom stairs, Normal IL can trust, come to Custom Stair Crafter for attention to detail and craftsmanship that can’t be beaten. Whether you need stairs as part of new construction, refinishing, restoring or upgrading, Custom Stair Crafter is the first company you should call. Our products are made in a controlled environment at our site, and delivered to you. They’re already assembled and ready to be installed, which means less downtime and more productivity for you! We started out with a mission to create quality custom built stairs at an affordable price, and we still follow that mission to this day. Through the use of the highest quality materials, we build strong, long-lasting stairs that are safe, beautiful, comfortable and durable. When you need the finest quality craftsmanship and installation, come to Custom Stair Craft for custom stairs in Normal IL. It all starts with a phone call to us for a FREE estimate and project review. 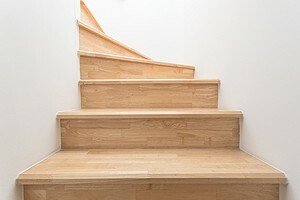 Whether for your home or business, call Custom Stair Craft today at 309-580-8014.